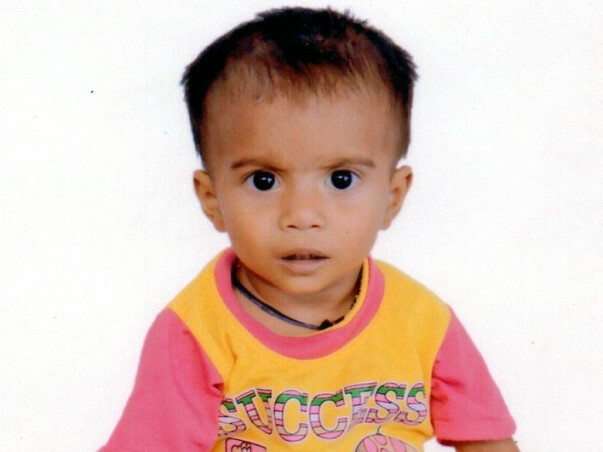 Vineet is a 2-year-old with a serious heart condition. His parents had to wait till he put on some weight before he could have an open-heart corrective surgery. He is ready for the surgery now. His father Pavan Kumar is a daily-wage worker from the village Akal in Uttar Pradesh, and he needs help saving Vineet. Vineet has just started saying 'mama' and 'papa'. His older brother's name is screamed out in complaint when he bothers Vineet too much. But at just 6 kgs, he is underweight. His weight and his blue lips are the only signs in this small, active child that something is wrong. His low weight is also the reason parents suspected something was wrong with Vineet a month after he was born. “He didn't put on any weight but actually started losing weight. 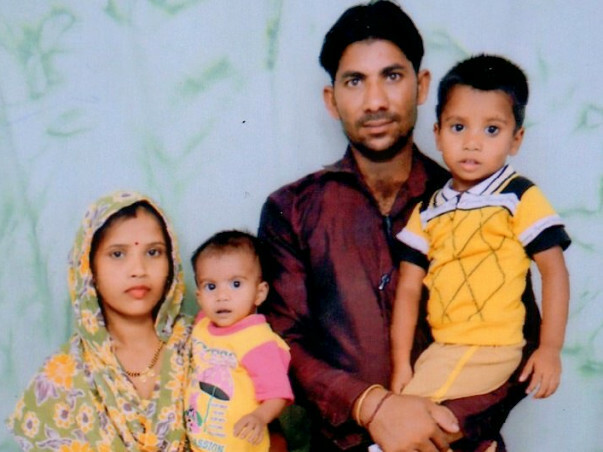 None of the doctors here could tell us what was wrong,” says Pavan. 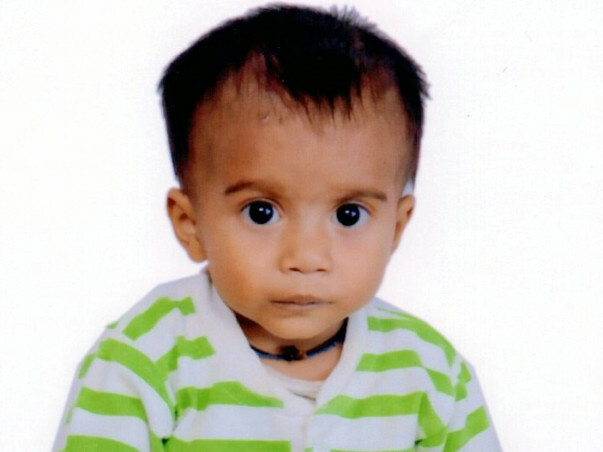 Vineet is born witha heart condition where oxygenated blood mixes with the old deoxygenated blood. The condition causes less oxygen to be available in the body and the child can turn blue or even faint due to lack of oxygen. Vineet's family watches with fear when his skin turns blue as if 'poisoned'. After his diagnosis, Vineet's mother and grandmother keep a constant anxious eye on him –always wondering if he would need to be rushed to the hospital. Pavan is always worried about arranging money when needed for any medical emergency. When no doctor could tell what was wrong with Vineet, Pavan and Pooja – his wife, decided to come to Delhi to meet a doctor in a 'big' hospital. Despite never being able to earn more than Rs 8,000 per month he does not want to compromise on the health of his children. “Everyday, I go around the village asking for work. When there is some physical work or a building under construction – I get some work. Roughly, I am able to make Rs 200 per month,” he says. 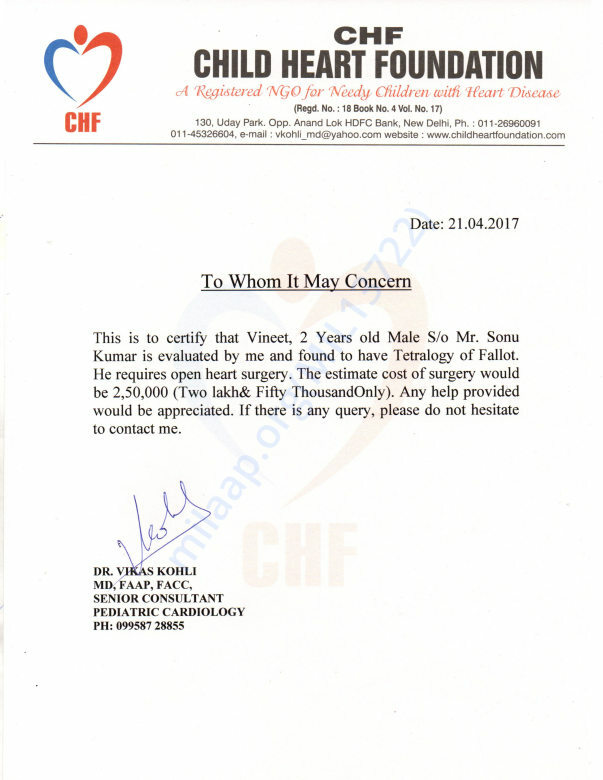 When he heard that Vineet needed an operation worth Rs 2.5 lakhs, his heart sank and he did not know where to arrange that amount from. Without the surgery, Vineeth will have lifelong grave complications. As a growing baby, he needs enough oxygen in his body so he can have a shot at growing into a healthy adult. A small surgery can give him that chance for a normal life and healthy adulthood. 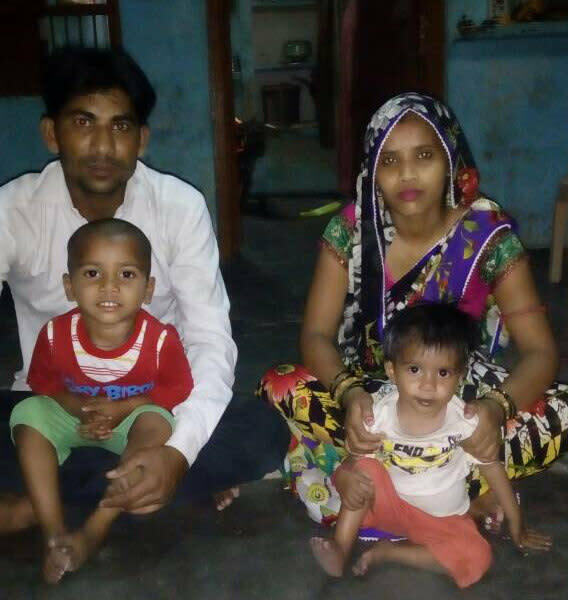 Pavan is unable to afford the open-heart surgery that can cure his baby. Contribute now and change Vineet's life. Thank You for your support. 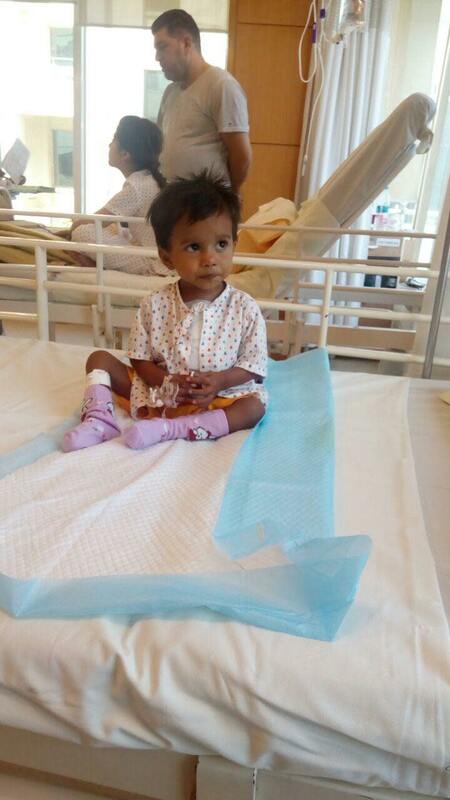 Vineet has been discharged today after successful heart surgery. Vineet is recovering fast. His condition is improving continuously. Hopefully, by today evening, he will be shifted to the ward. Thank you all for coming forward to help him. 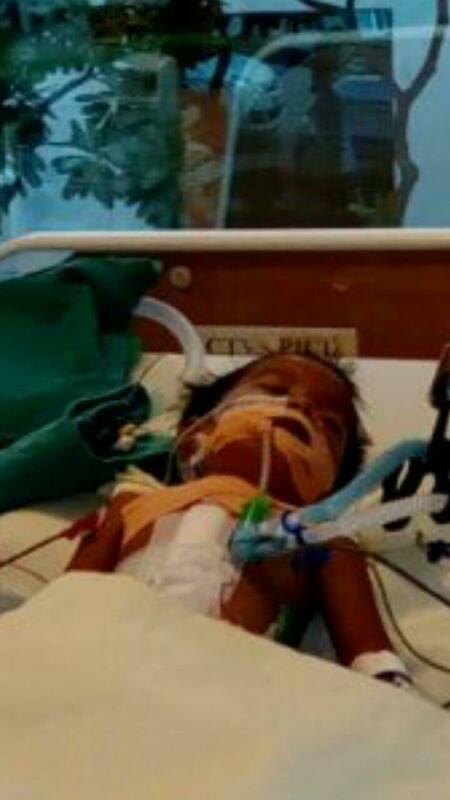 Vineet's condition is stable now. He is out of danger. Doctor's removed him from the ventilator support. They also started giving him oral feeds. If everything goes well then they will shift him to the ward day after tomorrow.